What is Trump’s foreign policy? What does it mean for China? In order to answer these questions, students need to learn how to think critically about the globalized world we live in today. In this course, we teach students to think, speak and write from a global perspective. 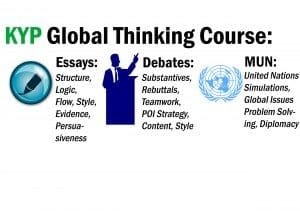 Designed by Kelly Yang, Advanced Global Thinking is a revolutionary course which combines critical thinking, current events/global analysis, debate, and essay writing. Advanced Global Thinking is taught “Harvard Law School style” — in small seminars led by an experienced practitioner. Using KYP’s award-winning method for teaching, Advanced Global Thinking has inspired students to become sharper thinkers, speakers, and writers. In this class, we tackle the tough social and cultural issues in modern society through intensive, interactive class discussions. 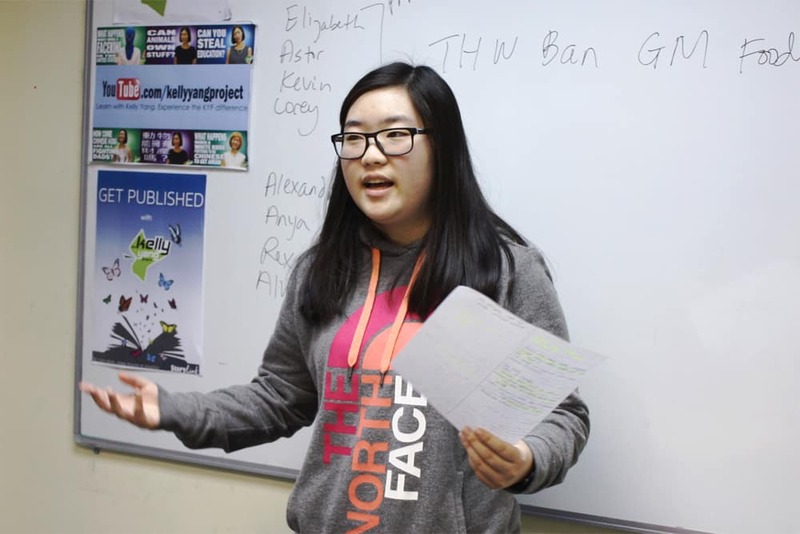 We ask students to write, present, and debate about a wide variety of topics, such as immigration reform, humanitarian efforts, and diplomacy. In Global Thinking, students learn how to analyze the crucial elements that drive the pace of current events, and how to speak and write about those elements with confidence and clarity. Student learn how to debate in the World Schools style of Debating, tackling complex motions such as This House Will Prioritize Economic Development over the Environment. Students also take part in Model United Nations, simulating United Nations discussions and learning international relations and diplomacy. Taught by our Head of Model United Nations Paul Smith, this course is the perfect combination of intensive essay writing, current events and global knowledge, Model United Nations (MUN), and debate! Take your thinking, writing, and debating to the next level this summer with Adv Global Thinking!